Selfpac3D is pleased to announce the launch of a new course for secondary students studying Design & Technology (D&T). 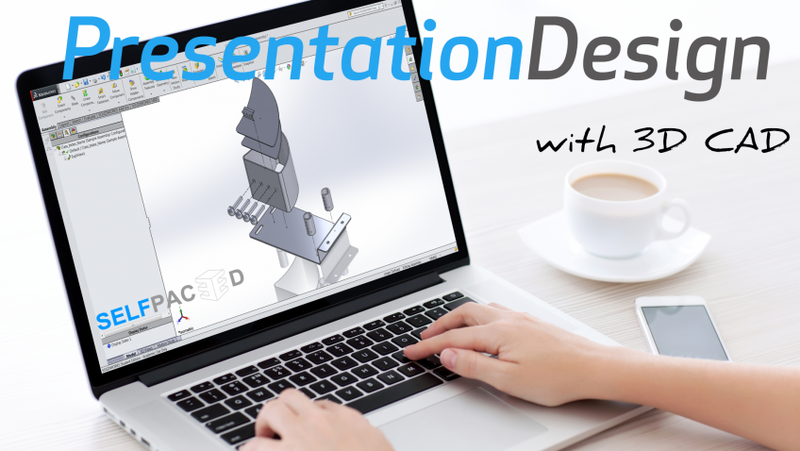 Presentation Design with 3D CAD (SolidWorks) is a course specially created for Secondary 3/4/5 students intending to utilize SolidWorks 3D CAD software in the creation of 3D designs, working drawings, and presentation images for their Design & Technology coursework. Presentation Design with 3D CAD (SolidWorks) is an existing instructor-led course, that has been used to equip thousands of secondary-level students in Singapore, with the necessary skills to utilize SolidWorks 3D CAD software in the creation of 3D designs for their coursework, and to generate detailed working drawings, and compelling presentation images for the presentation board. The same high quality instructor-led course, has now been converted into an online self-paced learning format, making it more accessible and affordable to students. Bulk discount is available to qualifying schools, that sign up in minimum group size of 20 students. For more pricing information, please contact us.